Welcome to the 2017 TeamLiquid BW Award, the first of their kind and hopefully, something that will be published on a yearly basis. We've been extremely blessed with many BW events this past year, including several ASLs, ATB, SSL Classic, G-Star WEGL, Seoul Cup Supermatch as well as several online tournaments. As such, offline results factored heavily into our final decisions in comparison to online ones. With that said, go right ahead and take a look at the awards. We hope they are to your liking and feel free to share your thoughts below. Enjoy! Only several protoss players have truly managed to stand out in a sea of terrans and zergs this year. Most of the players who were contenders for this award such as Best, Rain and Bisu were comrades on SKT T1 during the KeSPA era. Best, despite not making it far in the latest ASL, had quite the strong performance early in the year, almost making the ASL2 finals after losing in a close series to Sea. He was also the only protoss aside from Bisu to make the quarterfinals in ASL3 which helped place him above the competition. His games, especially in ASL2, showed what an in-form Best is capable of and let's just say, it's quite terrifying! Rain showed strong performance in the latest ASL where he made the quarterfinals after eliminating both Stork and Jaedong, only to lose to Larva's defensive ZvP style. His games in ASL show that he has insane potential and might take up the mantle and fight for Aiur after Bisu's departure. Of course, the winner is none other than Bisu who has been the most consistent protoss player when it comes to offline events in this era. He's made the quarterfinals in all ASLs in 2017 and took third place in ASL3 and 4 against Soulkey and Larva respectively with extremely solid gameplay. He still has his work cut out for him though in late game PvT but, his PvZ is still the best in the scene and his other matchups are still quite comparable to the other top protoss players. Notable mentions for Stork, Shuttle and GuemChi who have all had varying levels of success this year. All have made it past the first group stages and in ASL2, both Stork and GuemChi made it to the quarterfinals only to get eliminated at the hands of Jaedong and Flash respectively. A lot of different terran players have stepped up this year. For instance, we've seen Mind practice hard and make great strides in the latest ASL, making the quarterfinals and surpassing all terrans aside from Flash, while tying his personal best in the post-KeSPA era. Another player is Mong, who while unable to surpass his personal best of a third place finish in SSL10, made the quarterfinals in ASL3, even coming out of the protoss group of death despite all odds. He made the Ro16 in the latest ASL and would be an even better player if he played a non-linear game. sSak was on fire in ASL3 beating Last, Jaedong and Rain before succumbing to Bisu, 2-3 in a very close quarterfinal. Even though he faltered in the Ro16 in the latest ASL, he has one of the highest skill levels among this group if he is motivated and practices hard. After all, this was the guy who wrestled an SSL trophy from Last several years ago! Last has hands down some of the best macro among all players and has been called AlphaGo by Sea due to his methodical style of play. He has shown stellar play online but, has been unable to bring the same level of play offline. He finished in the Top 8 in ASL3, one of the best finishes for a terran player there but, fell far short from his personal best. Whether he'll be able to break past the Ro8 remains to be seen but, still a strong contender nonetheless. Sea is another notable player, having reached the ASL2 finals. His results haven't been great in the second half of the year, having been eliminated in last place in the Ro16 of ASL3 and a quick exit in G-Star WEGL but, he's certainly got the talent, much like some of his peers. Finally, there is Flash. The most decorated player in the post-KeSPA era. He's overcome all obstacles on his path to 3 straight ASLs. We've all seen his play first hand and it has surpassed all the other terrans, so there shouldn't be any doubt as to who the best terran player is at this point. Jaedong, while not in his prime anymore and suffering from wrist pain, took Flash to a deciding game 5 in ASL2. He may not have had the best performance lately but, he's still the Tyrant for a reason and is feared among the players. Shine played some fantastic BW in ASL3 making the finals off the back of great strategies. He may have lost in the Ro16 in the last ASL but, his antics brought BW back into the spotlight and showed that strategy and preparation both play a vital role in the game. Larva has had a meteoric increase in skill this year through constant and ruthless practice with Flash, Bisu and Last. Despite being unable to perform well offline in the past, he's shattered expectations and made the semifinals this past ASL, losing to hero 2-3 in a close series. His skill level is one of the highest in the current zerg group and he will certainly get even better with more practice. Soulkey, despite getting knocked out by ZvZ in the latest ASL has made at least the quarterfinals in the last two ASLs. He showed a fantastic ZvT series against Flash in ASL3 and won G-Star WEGL after plowing through Last and Flash, two of the best TvZ players. He also has a good understanding of the various matchups and has a lot of experience playing on the big stage before. Effort is another player who, despite not making it far in ASL and having little results in offline tournaments, has been crushing it in sponmatches. He's a player that even Flash has trouble with and who made quite a name for himself, both in the KeSPA era and in this era after he beat Bisu in VNSL several years back. Last but not least, hero, the ASL4 finalist, is without a doubt one of the best zerg players at the moment. You don't make the ASL finals without having that extra 'omph'. Hero is one of the more complete players this year. His ZvZ and ZvP have both been proven to be of the highest caliber and have been tested by various opponents, both in past and present. His ZvT was somewhat tested by Flash in the recent ASL4 finals and though he lost 1-3 in the finals, the games were a lot closer than anticipated. He's someone who has been overcoming his limits and his play has improved considerably since he first came to Afreeca. Even Flash has recognized this fact during one of his interviews. Despite his ZvT being on a lower level than other players such as Soulkey and Larva, he's one of the more balanced zergs who has also had the best overall results this year and deserves it wholeheartedly. 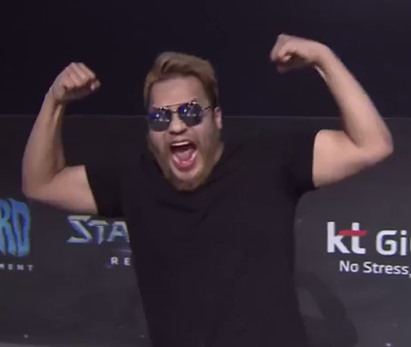 Considering the various offline tournaments that have been taking place and the skill level on display, there is only one choice for the best Korean player of the year. Flash is more than the obvious choice. He's crushed all forms of competition and has won 3 straight ASLs in a row, beating Sea, Shine and hero in the finals of ASL 2, 3 and 4 respectively. His ridiculous macro coupled with meticulous preparation, insane decision making skills and an un-canning ability to sniff out cheese have helped him to stand atop the BW world, much like in the past. There is really no other player that can claim to be the best player of the year. Sure, he's lost to Soulkey in G-Star WEGL and EffOrt in the Seoul Cup - OGN Super Match but in the end, he's the most accomplished player this year and let's face it, he is favoured against every player in this day and age! So, who's the runner-up then? We've had many players reach the finals or perform well in ASL but when it comes to consistency and results, Bisu surpasses the rest of the competition, coming close to reaching the ASL finals twice and giving us some of the highest quality games this past year. Amateur players are vital for the BW scene if we'd like to see it keep trucking on. Alas, only several amateur players have made an appearance this year (gonna cheat and factor ASL2 into this). These players were Hint, Force[name], PURPOSE and By.Maru who made it past the qualifiers and into the main event for ASL 2/3. However, none of these players have made it past the group stages, getting eliminated in last place in the first group stage. Despite that, one player stood above the rest and managed to impress not just us, the fans but, also Flash himself. While PURPOSE, By.Maru and Force[name] bit the dust in rather one-sided affairs, Hint was the one who stood up against both Best and Mong on Benzene and Circuit Breaker respectively. He played some really impressive Starcraft and deserves to be applauded for his skills. Maybe he was hinting at his potential? Though Larva has been part of the scene since the SSL days and even made the finals for one of the earlier SSLs, he has never had much success when it came to offline tournaments. Call it a mental block if you will but for years, Larva was stuck at the entrance, peering in at his peers who made it far and won championships. Alas, with a huge increase in skill in the past year due to a rigorous training schedule, Larva has finally broken through spectacularly, making the Top 4 in the latest ASL all the while showing the fruits of his labor. Few, if any have managed to come this far or have this kind of breakout in the current environment. Interviews are one of the best ways for the community to learn more about their favourite players as well as get a small view into the mindset of an ex-professional player. This is even more important considering the language barrier that exists between foreigners and Koreans. With that said, TeamLiquid has been lucky to have interviewed several players this past year, including ZerO, hero, Flash and all members of TBLS. The majority of the interviews were pretty insightful, with the players providing ample information about their background as well as their tendencies and thoughts regarding the meta-game. In particular, both ZerO and hero touched heavily on the aforementioned aspects, however, ZerO's answers helped to spur a discussion in the interview thread among the foreign community. For that alone, ZerO is worthy of being called the best BW interviewee this past year. The three candidates considered for this award, Shine, Firebathero and Larva, were all entertaining in their own way. Shine is a player who's entertainment relies solely on the game. His confidence during his ASL3 run and speaking highly of his bag of builds as well as delivering against Mong and others is a form of showboating that generated a lot of interest and made ASL3 such a great season to watch. Firebathero has a large fanbase and is constantly looking for a way to make BW more entertaining for the masses. He may not make it far in competitions nowadays (he made it into ASL4 recently!) but his many youtube videos which involve playing BW in interesting ways rake up a lot of views and laughs among the community and are something that should be considered. Finally, there is Larva who is considered by many to be the ultimate showman. While he may lack in-game antics, Larva more than makes up for it on his stream and during competitions. All you have to do is watch his tearful acts, goon impressions and others in the plethora of youtube videos that have been posted. In the latest ASL, he's done some mini-ceremonies such as flexing his muscles after beating Rain while in G-Star WEGL, he took his hands off the keyboard to punch in the air when he had an insurmountable advantage against his opponent, Sea on Circuit Breaker. His Conor McGregor impression as well as his demeanor clearly highlight the fact that he's a showman at heart. He has even gone on the record to say that he has researched this kind of stuff before his latest stunts in the Zotac Cup. Between all three, Larva's antics truly outshine everyone else and he deserves to be called the most entertaining player! An old TeamLiquid award, the MIA award is given to a player who has been a staple in the scene for years but has played less than 10 games this year. As such, several players were considered, such as Tyson, Sky, Ample and Jaehoon who have all been part of the scene for years, yet the most games any of these players played, both offline and online, were 9 games. Sky managed to top the group, having played only several games this whole year with his latest games being 2 losses to Killer and Light in ASL4. This was followed closely by Jaehoon and Ample who both made very brief appearances this year. Different games have different charms for viewers. The "impossible" comeback in Flash vs hero game 3 of ASL4 or the allure of hydra/guardian being used in 2017 against a competent terran in Shine vs Mong on Camelot in ASL3. Or how about that long drawn out TvT game between Sea and Flash in game 2 of the ASL2 finals where even though Flash was in a terrible position, he fought back against Sea's large battlecrusier count? Then there was that Free vs hero game on Neo Medusa in SSL Classic where both players kept jousting all over while trying to establish another base. What about the Mind vs Rush Fighting Spirit game in ASL4 where the whole map was mined out and the center expansions were hotly contested in the end? Let's not forget Rain vs Soulkey on Crossing Field in ASL4 where Soulkey had the perfect defense all game long! While all those and others not spoken of left a certain mark, none have left a bigger mark than the Flash vs Soulkey ace match in the Afreeca Team Battle. As cries of tesagi intensified after Flash took ASL2 and crushed Zerg competition along the way, Soulkey showed that while ZvT is a rough matchup, it's still winnable. In a long drawn out game on Circuit Breaker, Soulkey beat Flash's +1 5 rax into mech to give his team, Team GuemChi the win and temporarily halt all Tesagi talk. It was a display of pure skill that showed that Flash is beatable and ZvT, in particular, is winnable. This loss took Flash by surprise and shook him up to the point that he made the theme of ASL3, revenge. With BW picking up steam, Afreeca decided to introduce and run the Afreeca Team Battle, a team-based competition in the first half of the year. With ATB came the re-introduction of 2v2 BW, once a staple of Proleague in the old days, to a competitive environment. A totally different beast from the 1v1 that most viewers were accustomed to, ATB featured some really nice strategies and tactics which took place within minutes of the game starting. Several games managed to captivate our attention. The first game took place in the finals and pitted Piano/Soulkey (T/Z) vs Flash/Last (P/Z). This game showcased the use of bait scourge, burrow tactics and shuttle snipes from Soulkey to help make a situation advantageous. After he pulled the goons using his scourge, Soulkey unburrowed his lings at the right moment, catching Flash offguard and forcing him into a fight he was not prepared for. To top things off, the scourge survived and sniped the shuttles, greatly reducing the effectiveness of Flash's reavers. Piano struck shortly after, stimming in to take out the majority of Flash's army and help seal the game. Another interesting game revolved around a cannon contain done by Shuttle and Terror against Soulkey and Piano. The strategy itself was a demonstration of tightrope execution at its finest as a combination of cannons and storms held back Soulkey and Piano while both Shuttle and Terror grabbed an expansion. Shuttle even proxy'd 2 gates just to get his high templars to the frontlines that much faster and Terror would aim for tank snipes with his mutalisks to prevent the breakout. Alas, such strategies also require careful zoning as a single drop can be its downfall and that was exactly what happened when 2 dropships made it past their watchful eyes. Regardless, a ballsy strategy that almost held up against the undefeated best pair in ATB. Finally, the best game was between Larva/Free and Light/Where. It's the kind of game that keeps you thinking: "What's going on?" and "Can Free actually take this?". Over 30 minutes in length, the game featured a lot of crisp micro, drone drills, back and forth action as well as strategies that would only work if teammates had great synergy. If the game had to be described in some simple words, they would be: untamed, intense and fascinating. That's exactly the kind of team game that we love to watch and if you haven't watched it yet, you should! A good series is defined by its game quality, however, a good series can become great if there is some history as well as hype surrounding it. Some contenders include Best's beatdown of hero back in ASL2 where his macro ability and preparation were vital in overcoming such a fearsome foe. Mong vs Shine was another one of those spectacles. Having come back to the scene recently, Shine was on a roll and had spoken highly of his bag of builds. Despite being one of the weaker macro players, Shine made Mong look like a 2nd rate terran outsmarting him at every step in the game. Soulkey vs Flash in ASL3 was highly anticipated due to Soulkey's late game ZvT management style and their series delivered all the way to a close game 5. Soulkey even 4 pool'd Flash for a win. When was the last time we've seen Flash lose to a 4pool? Rain vs Larva was another series that was fantastic to watch. Larva's defensive style of ZvP against the aggressive style of Rain. Games 3 and 4 in particular were nail-baiting for Larva fans and it was extremely impressive how Larva managed to fend off all of Rain's drops with relative ease while clinging to the smallest of margins to pull out wins from thin air. Even hero was impressed! Let's not forget the Bisu vs Larva 3rd place matches in ASL4. Up against the same style that defeated Rain, Bisu showed that he's a notch above the rest as he dispatched Larva, 3-1. This list doesn't even scratch the surface since we were treated to many good series this year. However, there is one lone series that stood out from all the rest. This series had it all: stars, extreme hype and high quality games. No series can compare to the Flash vs Jaedong series that was played in ASL2! Let's paint things a bit, shall we? Flash had come back to the scene in the previous ASL but, had been knocked out by Last in the quarterfinals. On the other hand, this was Jaedong's first foray back into the BW scene and he found himself facing Flash in the semifinals. The amount of hype was unreal. 300k+ viewers tuned in to see their first bout in almost 7 years! The Afreeca studio was filled with fans packed in like sardines and boy did the series deliver. Mind games, well prepared lurker drops, hydra busts, 5 rax +1, you name it. Flash was sweating profusely and was extremely excited to take the series as noted in his post game interview. There hasn't been a single series that has had the same impact or been watched as much as FvJ in ASL2! With the end of the KeSPA era, most of the ex-professionals make a living by streaming their games and playing sponsored matches, referred to as sponmatches. As such, we are constantly treated with awesome games that show the beauty of starcraft at its finest. This award tries to pinpoint and recognize the most entertaining stream game from this past year. Another game was Flash vs Snow on Neo Jade where a scrappy game saw Flash down to a handful of SCVs. Flash showed us why he's the GOAT as he defended and fought back valiantly to take a 40 minute long drawn out game. Afterwards, Flash stated that this was the best comeback of his whole career. Stork vs Flash on Circuit Breaker was a third match which was filled with constant action with Stork even grabbing a victory that Flash himself did not forsee! Bisu vs Larva on Neo Jade showed just how strong Larva's defensive play is as he constantly survived Bisu's constant attacks to take the win. Flash vs Larva on Circuit Breaker rounds out the list with yet another epic game between these two. Up against Flash's relentless aggression, Larva once again survives, thrives and beats Flash. If you watch the game from Flash's fpv, you'll see that Flash was banking upwards of 3k/1.5k after he was maxed out on mech and did not make any noticeable mistakes. Yet, in the face of Larva's amazing gameplay, Flash was forced to concede. Have you ever watched a game and the first thought that came to your mind or words that you uttered were WTF? Well, this award is precisely for those kinds of games. Those games can be anything from a really silly but bad blunder to some new strategy that popped up to a result that's really surprising. As such, there were quite a bit of games to consider and only some of those will get a mention here. The first game was between Tyson and Flash in ATB on Circuit Breaker. A solid macro game from Tyson and a win against the GOAT that few could've predicted at the time. Even Bisu and sSak were laughing at what transpired. Flash vs Jaedong in the Afreeca Clan League was just as exciting, enough that Shuttle blew his top when Jaedong managed to break Flash's mech defense to take the game on Destination. Did I mention that Flash couldn't believe it himself? Sea vs Best game 5 in ASL2 was another such game. After showing his strength in the macro game, Best decided on an extremely odd 2 gate opener on Eye of the Storm, only to get completely demolished by Sea's proxy 2 rax. In SSL Classic, we got to see Free, who has been extremely solid so far, ram his goons into mines to try and snipe a single tank, only to lose almost everything and the tank lived. The recent ASL also gave us quite a bit of WTF moments such as Mini completely misjudging how long Jaedong's zerglings will take to get to his base and losing his first cannon, the first step to his elimination or Light proxying a rax in Larva's base, only to get it scouted and losing to the following zergling attack since he didn't know how to wall. Then there was Stork vs Last, where Stork rebounded and eliminated Last even after losing 2 nexii. Everyone in the LR was completely confused at what took place. Flash going bio on Crossing Field against Bisu in their semifinals match was another one. Lastly, one of the only game of its kind in the history of BW was played out when Ample opted for ghosts for lockdown on Crossing Field in an effort to contain the likely carrier play, only for Rain to decide to go for corsairs and dweb (see video above). A game that played out in such a way that no one would've been able to predict it. Several new maps were introduced to ASL this year. These include Camelot, Gold Rush, Crossing Field and Demian. All of these maps have their own quirks such as short rush distances, a backdoor third gas base or assimilators placed at chokes that can be destroyed, much like Troy in the old days. Few stories this past year can compare to the story of Team GuemChi and their hard fought battle to take first place in the Afreeca Team Battle. Considered as one of the weakest teams, they certainly exceeded expectations and that's putting it lightly. The team which was fielding GuemChi, Soulkey and PianO won their first match against Team Sea (Sea, Terror, Shuttle) 3-0 but was knocked into the loser's bracket by Team Bisu (Bisu, sSak, Tyson). Despite their predicament, they rallied hard with each player putting on a fantastic performance. Their 2v2 team was unbeatable and they plowed through Team Best (Best, Light, Miso) and Team Bisu, 3-1 before facing Team Flash (Flash, Last, Rain) in the finals. With both teams giving it their all, an ace match took place and Soulkey put on display one of his best ZvTs of the year when he took down Flash. The victory was well deserved and was the exact definition of a Cinderella story. Few if any, expected this result when the Afreeca Team Battle started. This also showed just how important team dynamics are in team battles. Let's face it, BW is an old game. It's the best RTS ever created and fantastic all around but, it's looks are considered outdated by the newest generation of gamers who are used to shiny graphics. To these gamers, they wouldn't give BW a try unless there was a strong incentive to do so. Add in the fact that it's a hassle to run BW properly due to compatibility issues and the importance of 3rd party applications and you run into trouble. Some community members for years have wanted BW to be updated. Basically, BW with all its fun quirks intact but with compatibility fixes so that anyone can pick up the game and run it without any issues. Others wanted things to go a step further and for the update to include a ladder, matchmaking and HD graphics. So, imagine how much of a surprise it was when Blizzard decided to publicly announce in March 2017 that BW Remastered was being worked on and was to be released in August. Forums were buzzing, old members came back and the news was even trending on Facebook! TeamLiquid also managed to get a dev interview and it seemed like the dream was coming true. None of the game's features were being touched. The game was merely getting a facelift with a ladder and compatibility fixes. The only other news story was the slew of military departures. Aka, ZerO, Hiya and Bisu have all left the scene to do their military service and this was a terrible loss for the scene. However, in the grand scheme of things, the remastered announcement had a much stronger ripple overall. Don't even try to argue this one! The mech transition from 5 rax +1 has become a staple of late game TvZ to the point where the majority of terrans will mech switch once map control is established. We've seen a lot of zergs go up against this powerful strategy and fail despite trying their hardest. After all, it's a fine balancing act for the zerg as they attack the terran at a specific timing to try and inflict enough damage before the terran player manages to establish themselves. Some zergs such as Larva and Soulkey have become quite proficient at dealing with the mech transition but getting through the early to mid game is another hurdle in itself and what makes this strategy even more powerful. Whether this strategy remains as dominant in 2018 with the current 1-1-1 strategy that is highly spoken of recently remains to be seen. The professional scene had many storied rivalries when it ended and with the resurrection of the scene again with SSL and now, ASL, some of those rivalries have come back to life. We've also had several new and friendly rivalries develop due to sponmatches. As such, six of the most spoken off rivalries this past year were Flash vs Jaedong, Flash vs Bisu, Last vs Larva, Larva vs Flash, Flash vs Soulkey and Bisu vs Shine. Keep in mind that for a rivalry to flourish and be entertaining, the outcome of their battle should be shrouded in total darkness. Furthermore, the more bouts they have, whether online or offline, the stronger the rivalry becomes (offline still counts for more!). For Flash vs Jaedong, it was about the Tyrant going up against the Ultimate Weapon. Both players were quite capable at their peaks and their skill level was extremely close which made this rivalry even more fantastic, especially when they have fought many times on the grand stage. They've only fought once during ASL2, back in January and Flash took that series. Jaedong managed to make it close with some interesting builds and lots of preparation, including lurker drops and hydra busts but, another bout today would lend itself heavily in Flash's favour, especially when you consider their online record. Furthermore, Flash has been refining his game since and has become a whole lot scarier in TvZ while Jaedong is still struggling due to his health problems among other things so, the rivalry has become somewhat one-sided. Flash vs Bisu was somewhat similar to the above, in the sense that both players have fought each other many times in the past and had a really high skill level. As if by destiny, Flash met Bisu in the ASL4 semifinals and with Bisu performing at his peak, there was a chance that he could upset Flash. Alas, tragedy struck as Bisu found himself in trouble over and over again, both due to Flash's strong gameplay as well as his own mistakes; the mistiming of the reaver pickup in game 1 or the terrible engagement in game 2 etc... The hype train was derailed however, considering Flash's form going into the series, it was a result that was somewhat predictable as well. More so, considering that Bisu's late game PvT still needs refinement. Flash vs Soulkey was hyped up a bit by the fans due to Soulkey being one of the best ZvT players this year. The two players met three times with Soulkey taking the ATB ace match but, Flash got his revenge eliminating Soulkey in a close series in ASL3. They also had a third encounter in G-Star WEGL where Soulkey beat Flash 2-0 to put things in his favour. However, whether this rivalry can be truly called a rivalry, on par with the previously discussed rivalries is something that's worth noting, especially when the players in question don't seem to view it as such. Now, compare those to Bisu vs Shine. Bisu, the revolutionist who has established a name for himself after defeating Savior, off the back of his PvZ, to Shine, who was a decent A teamer on Samsung Khan but, never went further than a Top 4 finish in EVER OSL. Their worlds couldn't be any more different and neither could their skills but, this is precisely why their rivalry is really interesting. 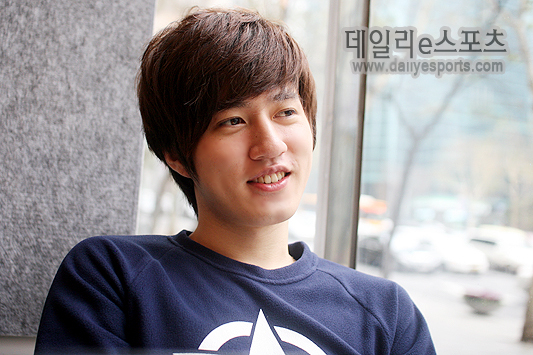 Shine should theoretically get crushed by Bisu but, he plays a style of zerg that keeps Bisu on edge and guessing. We've seen his style against Mong in the ASL3 quarterfinals as well and it has produced wonders. He seems to be Bisu's kryptonite and in ASL3, just like in the past, he stopped Bisu's ascend to the finals yet again despite Bisu having a decent form. Deja-vu for Bisu fans who have constantly seen Bisu crushing zergs, only to struggle against a lone rebel. Did I mention that Shine had just come back to BW in ASL3 while Bisu had been crushing most of his competition since his return in 2013? If Bisu was still around next year, I'm sure these two would've met at some point and even with their history, it's not an easy call to make when the sparks start flying. When the professional era ended, the scene dwindled such that a small amount of online tournaments were the only way to watch competitions. BW fans united and slowly but surely, BW has been rising to the top since. OGN even broadcasted 2 seasons of BW back in 2015 which was like a dream come true. However, even then, the scene lacked something. Something that can attract the eyes of folks all over to our magical game. That, my friends, is drama. Now, too much drama can negatively impact a scene but a small healthy dose can also do wonders. Of course, this highly depends on what the drama is about. This year, only two major dramas come to mind. The first drama revolved around Sea being drunk and hitting a female BJ on stream. Sea claimed innocence, but was disciplined for his behaviour by Afreeca and lost his spot in ASL4. The community was rather split but for days on end, members argued over what happened. This incident made headlines in Korea. However, this drama was trumped by an even bigger drama. This next drama took place during the Zotac Cup where Larva faced off against Legend in a showmatch. Larva beat Legend using various methods, including his toes and this was seen as being extremely disrespectful by Chinese fans all over. Emotions flared and even though Larva was just showboating and likely meant no harm, this incident made headlines in Chinese papers and a clip of his act made it around the internet, reaching the top of reddit. An isolated incident that took a nationalistic turn. Eventually, this whole drama died down, but its magnitude far surpassed any other dramas this past year. Thanks for the vod links! player of the year in what sense? In a comedic sense? Sure. In a pure skill base? No. Blech, I really don't like Larva's play, to be honest. He seems to be shaky early-mid, which is where a lot of his losses occur. I suppose that makes watching his play "interesting," but it's also very aggravating to watch. I remember some sort of like...0-6 run on his stream against...Snow? Also -- Team Guemchi is such a great story. Glad that was picked up! What a super nice formated OP! Good read, nice formatting . It breaks on mobiles . How about Sea hitting the lady for worst drama? Also probably sSak 1-1-1 for the best strategy? If we're doing foreign rivalries then trutacz bonyth is probably up there. Oh right, Trutacz vs Bony (wyjdz! ), Eon vs Bonyth is just a follow up to that. Great read, thank you! I haven't been able to keep up as much with players I don't normally watch, especially sponmatches, so this is a lovely list for me to see some epic games. Both are mentioned in the post. Hero for best zerg is a strange choice. Also, the category "Strategy of the year" could have been used to highlight some newer playstyles instead of just the already known successful strategies. Like 1-1-1 for terran and Queen switch for zergs to counter the mech transition. I think the runner-up for the player of the year should definitely be larva for how prominent he was to the whole scene. Other than that, really great choices and awesome article! That is one hell of an impressive post in terms of both content and layout. Very well done. Mech switch the strat of the year? Hasn't it been around for years? The 5rax itself is newish, I think it deserved the award more. Thanks for doing this. Also the post is super neat. I remember mech switch entering the mainstream in 2012-2013. Would like to see a motivation behind that decision as well. Perhaps it has had a resurgence of sorts. Good that Bisu vs Sine made it in, I'll never forgive Shine, even now I think of him as the undeserving Bisu sniper.